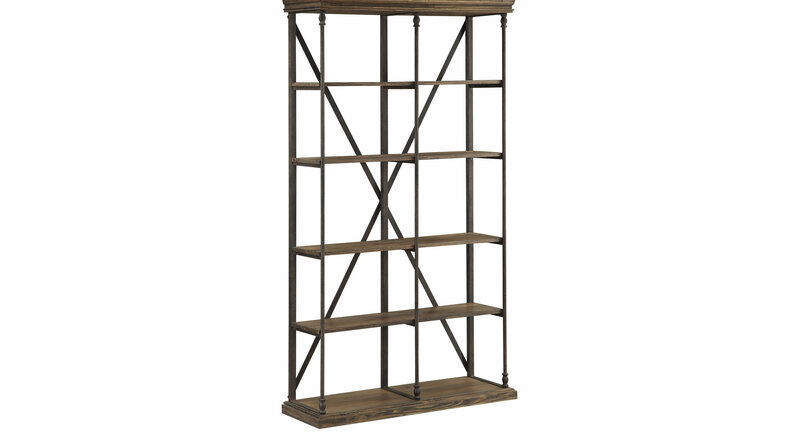 Rustic and bold, this Rodrick bookcase has the natural charm of reclaimed wood. Finished in a warm and neutral medium brown, it has a slab top, balanced with a slab-style base, both with beveled edges. Four shelves provide plenty of space for books or decor. Iron legs and accents offer an industrial feel as well as support.